We apply techniques from complexity theory to a model of biological cellular membranes known as membrane systems or P-systems. Like circuits, membrane systems are defined as uniform families. To date, polynomial time uniformity has been the accepted uniformity notion for membrane systems. Here, we introduce the idea of using AC 0 and L-uniformities and investigate the computational power of membrane systems under these tighter conditions. 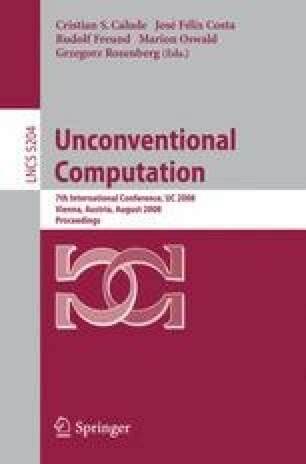 It turns out that the computational power of some systems is lowered from P to NL, so it seems that our tighter uniformities are more reasonable for these systems. Interestingly, other systems that are known to be lower bounded by P are shown to retain their computational power under the new uniformity conditions. Similarly, a number of membrane systems that are lower bounded by PSPACE retain their power under the new uniformity conditions.